The handbill was only printed once prior to the concert. It measures 8 1/2" x 11". 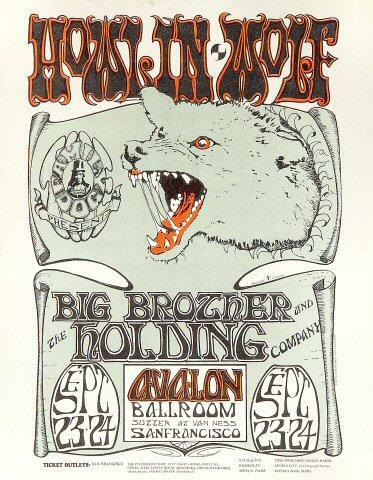 As a founding member of the Family Dog, Kelley handled promotions for the events at the Avalon Ballroom, drawing posters and handbills. 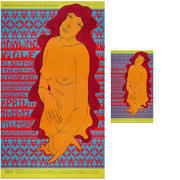 He soon met up with Stanley Mouse, and their association nurtured Kelley's success as an artist. Kelley had a natural talent for collage and a keen eye for culling and combining imagery and styles from diverse sources. Teamed with Mouse's drafting skill, collaborations became increasingly sophisticated, yet irreverent. Kelley always worked by hand, producing posters and other print graphics for a wide array of entertainment-oriented clients.